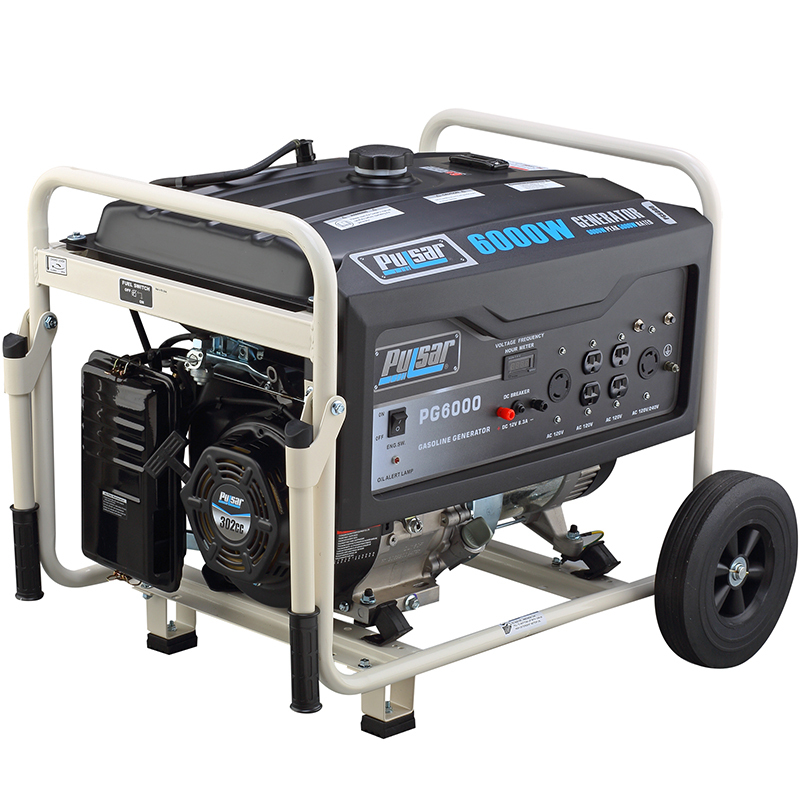 Considered one of the best values in portable generators on the market today, this unit is ideal as a home back up unit that can provide power without breaking the bank, the Pulsar PG6000’s 10 HP engine has been designed to operate at optimum efficiency for long periods of time at up to 6000 peak watts. With seven different outlets for everything from 120V to 240V to 12 volt operation for up to 13.5 hours this unit can do it all. Designed to operate up to three major appliances at one time and including a unique digital meter and easy-to-read gas gauge, the PG6000 provides pure power when and where it is needed.